The 26th Tokyo Synchronized Skating Open Competition took place on 2 December 2018 in Nishitokyo of western Tokyo metropolis. This year a total of five teams from Tokyo Metropolis and Saitama Prefecture competed in Juvenile, Intermediate and Senior categories. 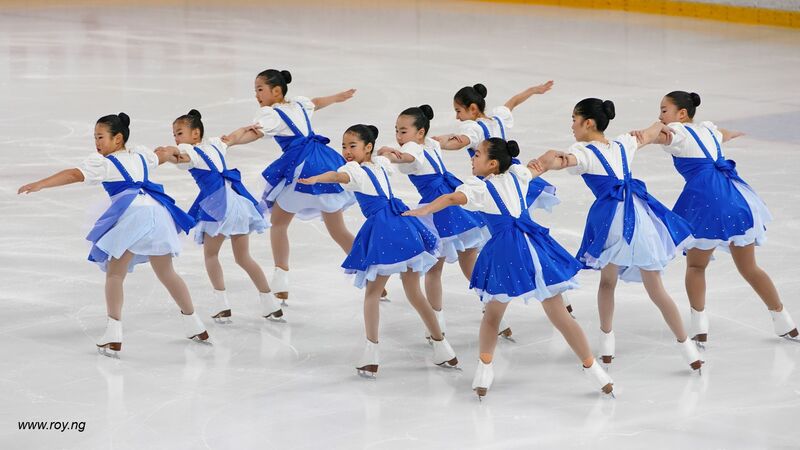 The two Juvenile teams were Jingu Ice Messengers Juvenile (34.24 points) and Saitama TiarAce (32.02 points). 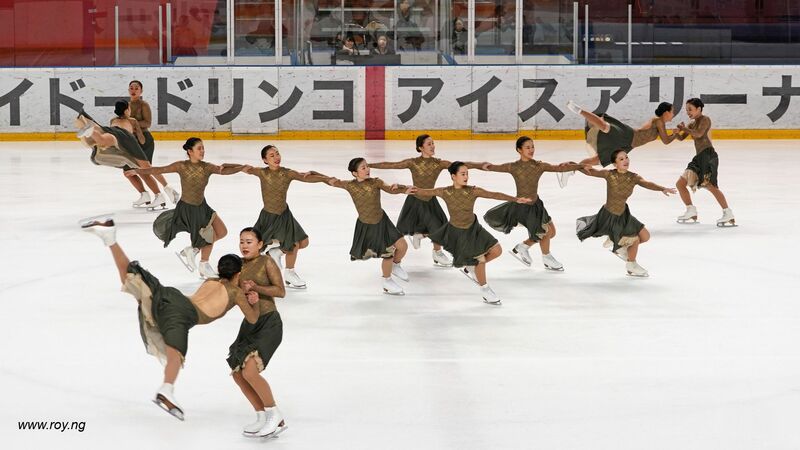 We have earlier watched the juvenile team of Jingu Ice Messenger debuted their “Sound of Music” program in August. 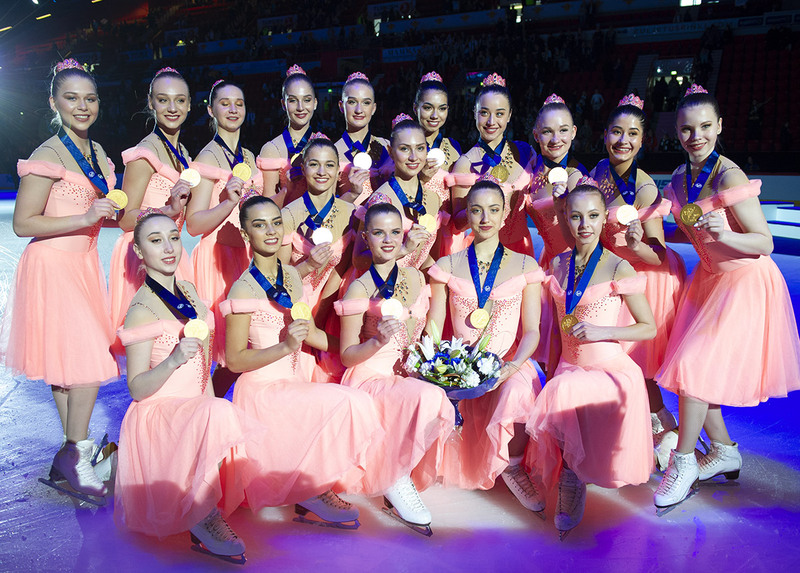 This time the team grew and had nine skaters skating to the beautiful classic melodies. Also, they premiered their new dress for the season. With more skaters this time, they were able to present their elements, such as triangle intersection, more prominently. 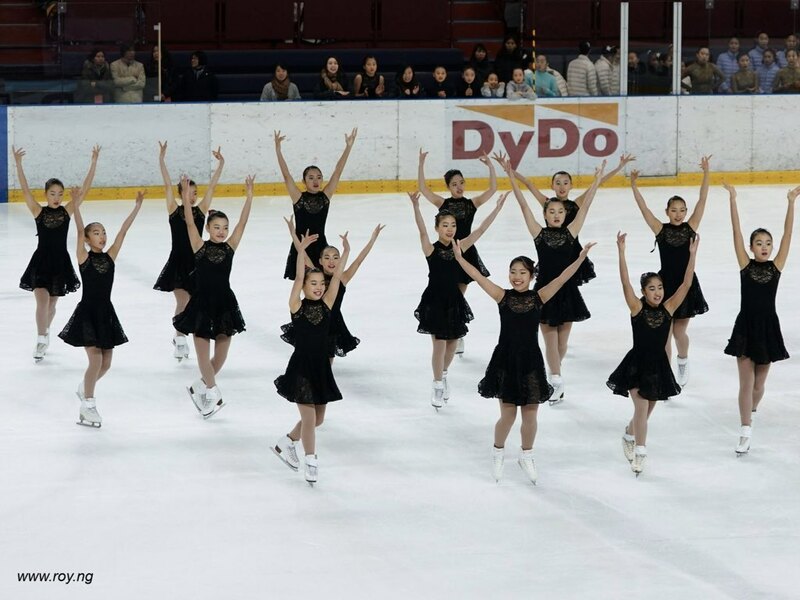 Despite falls, they edged out the competitor Saitama Tiar Ace who had 15 skaters performing their “The Bruce Lee Story” program in elegant black lace dresses. With more skaters, Saitama team could execute more complicated element such as interweaving circle which unfortunately had a collision and subsequent fall. Both teams left a good impression on the audience as they proudly completed their routines. In the Intermediate categories, Saitama Crystal Ace also fought hard against Jingu Ice Messengers Intermediate. When compared with Saitama team, winner Jingu team (53.37 points) executed their “West Side Story” program in flaming red dresses and with more recognizable formation and better shapes. Nevertheless, Saitama team (43.90 points) also proved themselves to be a tough contestant. Their program of “Romeo and Juliet” music based on the work of Abel Koreniwski had interesting choreography of which the 16 skaters expressed the mood of the music well with their body language and timed their hand clapping precisely with the music. Both teams had falls during intersection. In the Senior category, the sole participant Jingu Ice Messenger unveiled their free skating program based on the music “U.N.C.L.E.”. This time only 13 skaters took the ice and among them, only four delivered group lifts during the program. Today we saw only a basic scaffold of Jingu’s Free program and skaters would benefit from further opportunities delivering the program. Nevertheless, spectators were in awe each time difficult element was executed. It can be quite certain that once more skaters take part in the skating the program will evolve into a more sophisticated one. At the end, they scored 80.01 points. As we observed from last season, Jingu Senior team can improve significantly as they continue their journey down the season. We look forward to their further metamorphosis. The teams demonstrated today that they have been working hard so far. More importantly, they are encouraging signs that synchro is expanding in Japan and more teams are active in participating competitions. We hope to see them succeed in achieving their goals in Japan National championship which will be held on 2 – 3 March 2019 in Otsu which is near Kyoto the ancient Japan capital. I am just a recreational skater who can't even properly stop on ice! 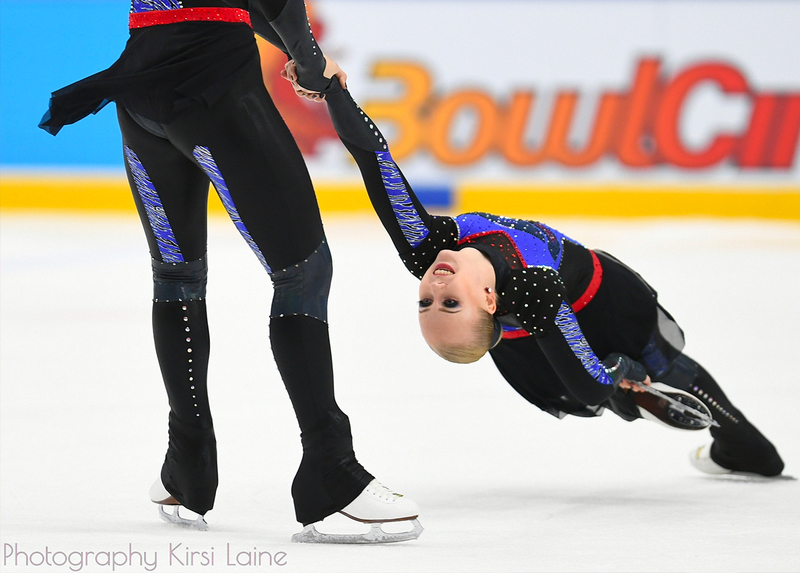 My first trip to World Championship 2016 was fantastic and I became a synchro fan since then. 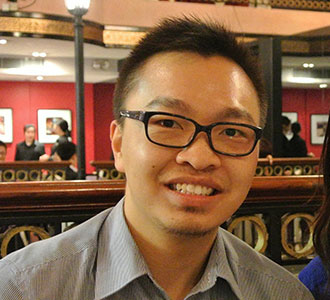 I enjoy travelling and taking photos along my trips. If not traveling I am probably either working hard, studying something, meeting friends or plane spotting. Work hard play hard I believe!